Postpartum depression. A term so many of us have heard but can’t possibly fully understand until we, or someone we love, goes through it. There have been too many times in the past that the effects of postpartum depression have had dire results. Cases in which mothers commit suicide or harm their children after having a baby, pop up in the news all the time. Did you know that, following the birth of a new baby, 50-80 percent of women experience some level of emotional letdown? Fortunately, the majority of these cases are simply “baby blues”, which is a mild form of postpartum depression that only lasts a few weeks. If the depression worsens, or lasts more than a month, it is generally labeled as postpartum depression. Extremely severe cases, known as postpartum psychosis, are more rare and, mothers going through this, often experience hallucinations which may result in them harming themselves or their baby. Postpartum Depression Symptoms? Who is at Risk? My own battle with postpartum depression (PPD) has opened my eyes to how severe this condition can really be. I never understood how a mother could simply stop caring for her child and was sure that no level of hormonal imbalance could truly result in this. However, when my son was just a few weeks old, I started to experience it for myself. During my experience with PPD I was never depressed. Most of the time, I didn’t feel anything. I wasn’t happy, sad, upset, or anything else. I just didn’t care. Nothing that had been important to me before, mattered. I felt like I was on autopilot. I took care of my boys because I knew that’s what a mother should do. All I ever felt when I looked at my boys, was annoyance. I was frustrated and angry that I had to care for them. Annoyed that they depended on me for everything. I wanted to pack my bags, leave them at my mother’s house, and never come back. I wished for the days when it was just me and I didn’t have any kids to take care of. It took me months to overcome my PPD and, sadly, I did it on my own because, while I was going through it, I simply didn’t care enough to confide in anyone. I was angry that nobody did anything to help me care for my boys. Afterwards, I felt so ashamed that I could look at my boys and simply not care. I felt so ashamed that everything that had meant the world to me before, no longer meant anything. I knew I was a horrible mother and was sure that if anyone were to know what had happened they would feel that I wasn’t fit to be a mother to my boys. I was so scared that my boys would be taken away. It took me a long time to come to terms with what had happened and the feelings I’d had during that time. I look at my boys now and my heart swells with love. Every day as I leave work, I look forward to seeing every one of them and hug them tight. I let them know everyday how much I love them and how much they mean to me. Postpartum depression is real and if you know someone going through it, or someone that is going through the baby blues, one of the best things you can do is offer support. Let them know you love them. Offer to take the baby and let them have a couple hours to sleep or to get out of the house. After having a baby, your body experiences a dramatic drop in an array of hormones. This sudden drop can leave you feeling tired and depressed. Add a new baby to the equation, and you get a mother who desperately needs sleep to recover from these sudden changes, but is unable to sleep because most babies take weeks or months before they sleep through the night! Natural Remedies for Postpartum Depression Do Exist and They Work! Thank you for reading. Has you or anyone you know suffered from Postpartum Depression? If you have any additional thoughts or questions, please leave me a comment below. I will answer all of them! My wife went through that after a second baby. It is not funny, as a man you don’t know what to do, and mostly you don’t feel there is anything you can do. One thing is for sure, it is very difficult to support your wife, even when you know what is going on. I really think that the couples, this is probably the hardest thing to do and get through together! I wish I’d read this when we were going through this, with our second child! It’s not easy to understand or go through. Looking back on my own experience, it’s still hard to understand how low I got! I do know though that having someone there to help makes so much of a difference! I hope things are going well for you and your wife and appreciate you taking the time to read! I’ve heard of post patum depression before but never knew what it would be like. Your description was very honest and sounds like it was a terrible experience. You are a hero in my eyes for working through that on your own and obviously a VERY strong person ! I’m glad you made it and happy to hear it was worth it for you. I also learned a lot about how to help someone who is there and will be sure to remember that when I can help ! It is difficult to go through. I had absolutely no motivation to do anything and I really didn’t care about anyone or anything. It was really odd. I’d look at my boys and know I was supposed to love them and that I used to love them but I just didn’t feel it at all 🙁 I knew something was very wrong and struggled for along time to get back to normal. I wish I’d confided in someone but how do you tell someone you don’t love your kids the same way you used to? Until I went through it myself, I never would have understood! I hope the guidelines I’ve listed here can help others know how to help a loved one going through it. I have additional steps to treat postpartum depression naturally as well. They really do work and you don’t have to be medicated. Thank you for honestly sharing your experience. I am not sure whether I experienced Post partum depression based on the characteristic you have enlisted. But what I knw during my first two months especially is that I would cry more than my babh cries haha. I have heard that it is normal and it is just hormonal imbalance. I also felt so helpless and tired. I was doing everything because my husband was away and only visits once a month. It’s definitely hard to talk about what it’s like going through postpartum depression. It can take on many forms. With my second son, I cried at the drop of a hat. I literally would cry for anything and I couldn’t help it! It didn’t last long though and after a couple weeks my emotions weren’t such a roller coaster. 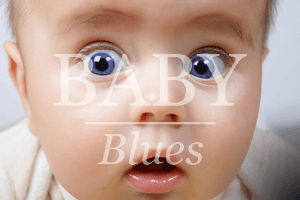 It is fairly normal and would probably be considered the Baby Blues. Having gone through both, they are very different and the baby blues don’t usually last more than a couple weeks. I can’t even imagine what it’d be like though to only see my husband once a month and have to do it all on my own! That on it’s own would be enough to set a new mom into postpartum depression. It’s very hard having to do things alone! You’re very strong and I hope the very best for you and your family! I appreciate you stopping by and taking the time to read! If you have any questions, or anything else I can address just let me know. It most have been a tough decision for you to share this post, in your case, you felt like you didn’t want to tell people about your PPD because you were detached at the moment, and many other cases, people just felt it was un-natural to feel a certain way, and were ashamed to relate this to others. You are a very brave woman and I am glad not just that you overcame PPD, but that you decided to share your knowledge of it with the world. So many people need this post, but those going through the depression as well as those who are around people going through the depression. Post par-tum depression is real, and those going through it cannot control what they feel. Thank you so much for sharing! It definitely isn’t easy to talk about. I barely scratched the surface of everything that happened with me and I still regret all of it. I do try to make up for it though and my hope is that other moms in the same situation can read my story and see that they aren’t alone. I want them to know they’re not a bad mom and it’s ok to ask for help! There are natural remedies that can be used to combat postpartum depression and it is possible to overcome it. Without help and support however, it is ten times harder. I really appreciate you reading and taking the time to leave a comment! I am so glad that you chose to do this article on postpartum depression. Like you, so many women suffer alone and are ashamed in how they feel. I had postpartum depression after my first baby, but I also never sought help. I thought it was just the baby blues and that it would pass on its own. I wasn’t annoyed or angry like you were but instead, I cried non-stop. For no reason at all and over nothing or sometimes I cried about everything lol. I also had these terrible thoughts about my baby. Not harming him but he spit up a ton (like you can’t believe how much) and he got baby acne really bad. These things while trivial made a huge deal to me. I remember thinking why couldn’t I get a “normal” baby. I felt so ashamed later for even thinking that. Of course I love my son more than life itself. And he grew out of both the spitting up and the baby acne lol. But I suffered alone too. Thank you for the great article and for spreading awareness. I know that feeling of being ashamed all too well 🙁 I had no idea what was wrong with me but I didn’t dare talk to anyone about it because I was sure they’d think I was a horrible mother. I knew I loved my boys and couldn’t understand why I no longer felt it. I’ve talked to other mom’s who have gone through what you went did as well. They actually worded it the same about feeling like it wasn’t fair they didn’t have a “normal” baby and I know what it’s like to look back on the things you felt and wonder what was wrong and how you could possibly feel that way about your baby! It doesn’t in any way shape or form though mean you’re a bad mother and we need to look at the good times and realize yes we do love our kids and sometimes we just need a little extra help. Postpartum depression is very real and affects some people much more than others. If you’re interested I have a page here about Natural Remedies for Postpartum Depression that I used myself to get through mine! I appreciate you reading hun and I wish you the best of luck! It is interesting that postpartum depression can be broken out into so many categories. I had no idea that mood swings and memory loss can be apart of that. The way you placed these categories in the middle of the page in a pyramid style is also visually appealing. My eye was drawn to them. You have such a great post here full of so much honesty. Unfortunately, post natal depression is such a common disorder with new mums which isn’t often picked up until it’s too late. So many mums feel bad about how they are supposed to feel when their baby is born, it isn’t always like that and it takes time to build a bond. I also think it has something to do with the great big build up over 9 months of carrying a baby, getting the nursery ready and then you have it and… nothing changes – if anything, everything stops and changes – but not always for the better. I really hope your post helps someone suffering. Thank you hun, it’s something that is really hard to talk about and my hope is that other moms going through it can see this and know it’s not their fault and there is something they can do. There definitely are times it takes longer to build a bond with your baby and you can also lose one you’ve already created when you start falling into postpartum depression. It doesn’t make you a bad mom though and it’s ok to ask for help. I appreciate you reading and wish you the very best! Thanks for your insightful post on post partum depression. I like your explanation on it, including the symptoms, and also giving your personal take on it. I have a question, can one’s partner help to alleviate the after-effects of the depression? Since two heads are better than one, it would be best if you include him early on. Oh yes your partner can definitely help! If you’re interested I have this page here with a list of natural remedies for postpartum depression. Most are treatments I used for my own case of postpartum. The biggest thing your partner can help with is taking care of the baby a couple times a week while you sleep, get out of the house, exercise, get your hair done, or anything you feel you might need. He can also help you get well-balanced meals while you’re taking care of the baby. All of these will have positive effects on your mental health. If you have any further questions don’t hesitate to ask!